When anyone in a family or society dies, people develop interest in their obituaries. The urge to know more about a person than what we’ve already known is a human desire for knowledge. And people want as much as possible to know more about the life of the person in question, whether they were heroes or otherwise. 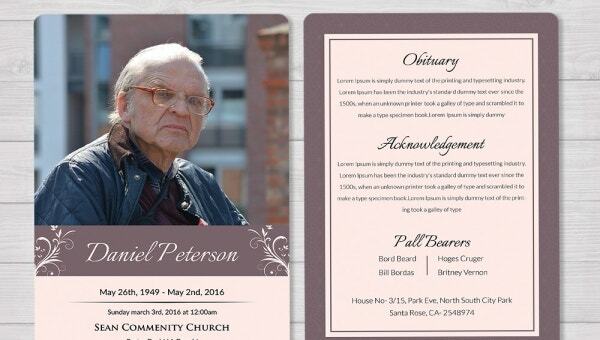 Your duty is to use a funeral obituary template to tell the story of the person that died. The goal is to explain who they were, what they stood for, how they lived their lives, and what made them stand out from the living. 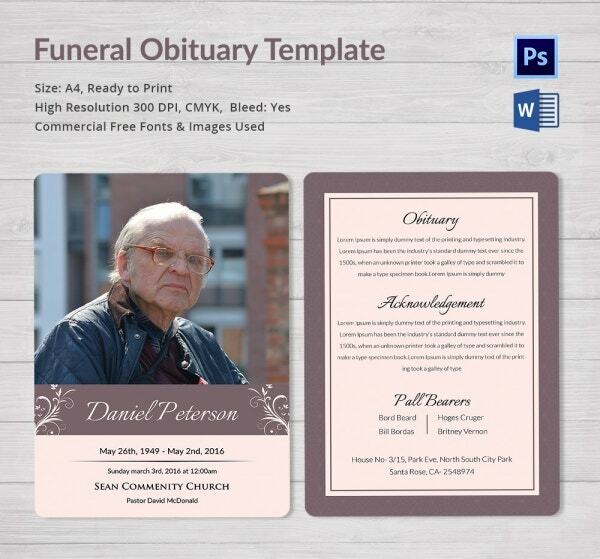 This obituary template can help you to tell the story of the person who has just died. The story must be simple, easy to read, and easy to understand. This template is not only easy to edit but also print ready. There is always a story to tell about the person who dies. There is always something special about them that you can tell. The best thing to do is to use this template to tell the story that people don’t know. The purpose of the obituary template is to tell people the story they never knew about the person who has just died. There is always something special to say about the person who has passed away, and this is the template to use. The best thing about an obituary is that it tells the story of the person who just died. This is the best template that you can use to tell the story that people want to hear before burying the dead body. 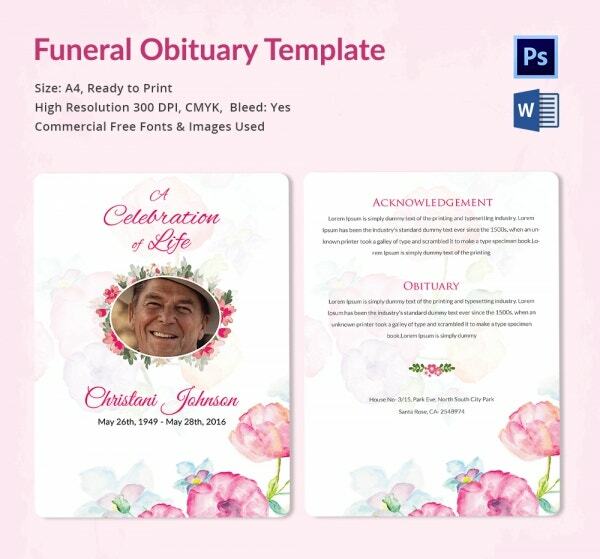 While you can design the obituary template yourself, you should consider downloading this one for free. It is easy to edit, simple to customize, and it takes only a few minutes to complete writing the obituary. > Who can use these Templates? 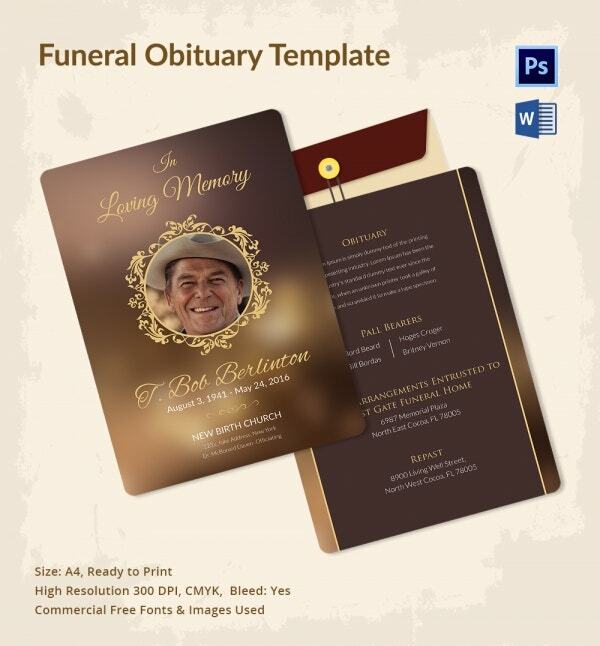 The preliminary target of the obituary template is the family members. Of course, the only people who know the dead person better are the people who were closest to him or her: the family. An obituary is the story of the person who has passed away. The story can take any angle depending on how the individual spent his/her life on earth. > What are the Benefits of these Templates? 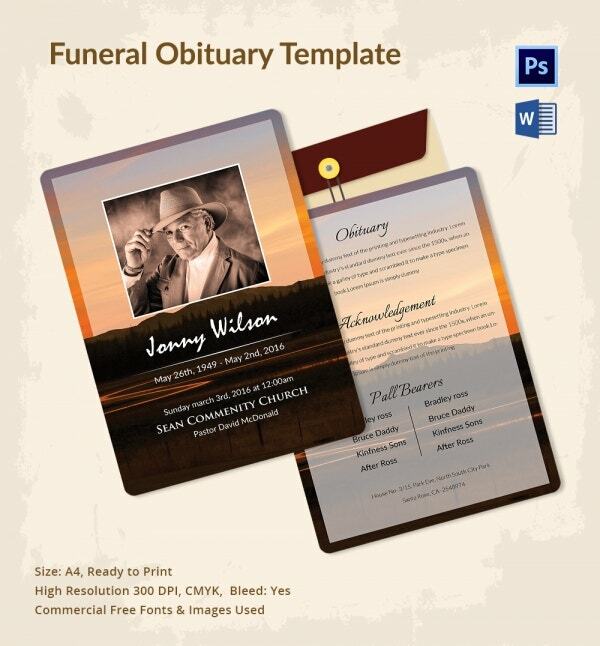 The funeral program templates are easy to edit, and they are always the best option for those who are considering an easier option. Overall, the templates always help to save you time by eliminating the need to create the design of the document from scratch. 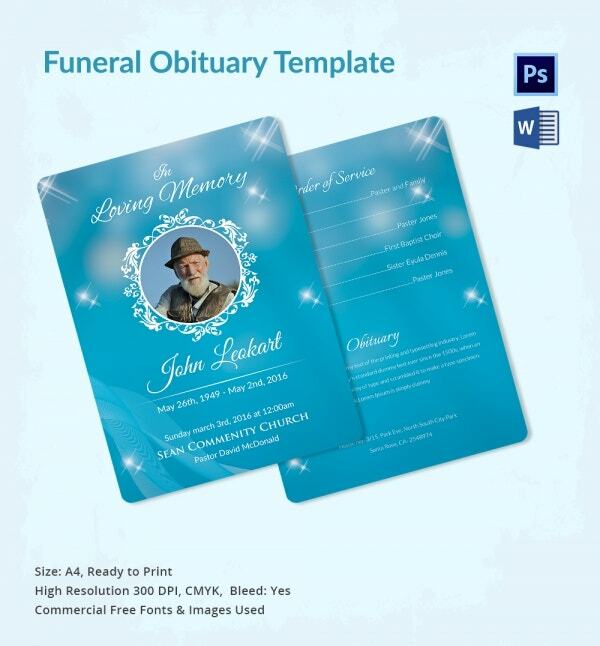 That explains why it is better to download an obituary template than create one from scratch. The stories of the people who die are always important; otherwise, what would be the need for an obituary? When the living gather to listen to the final words about the dead, they learn a lesson or two thereof. The essence of these templates is thus to inform, encourage, teach, and strengthen.